Moonlighting fans, It may have taken nearly 30 years, but your prayers have been answered. The heir apparent to that 1985–89 hit has arrived in the form of Take Two, another dramedy about two polar-opposite crime solvers with a major case of the hots for each other. Plus, a teaser for the Rachel Bilson and Eddie Cibrian-starring series. 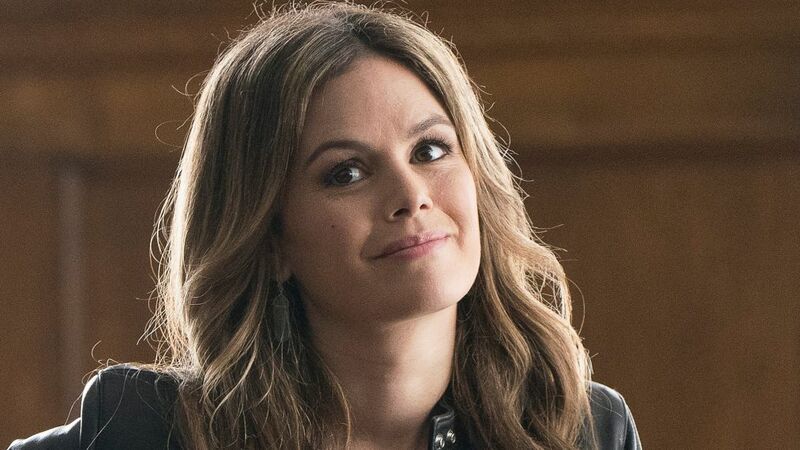 Rachel Bilson (The O.C., Hart of Dixie) stars as Sam Swift, a sunny TV star fresh out of rehab who starts shadowing gumshoe Eddie Valetik (Eddie Cibrian) to research a potential comeback role. On last week’s premiere, the duo discovered — much to their mutual surprise — they make a bang-up team. Here, Bilson unleashes her inner sleuth. Rachel Bilson: I feel like I am a PI now — I can figure anything out. Actually, my whole life I’ve been pretending to be a detective. I’m sure all of my ex-boyfriends have appreciated that! Sam and Eddie clearly have chemistry. Is “Will they or won’t they?” even a real question here? We’re going to play it out as a question for as long as possible. Right now, we’re just establishing them as partners. They’re definitely not jumping into bed… but we will have them getting close to each other in tight spaces. Are Sam’s past troubles — and past relationship — behind her? As far as staying sober, she’s committed to that path. But we can expect some other baggage to surface, and you might be onto something there with her ex [fiancé]. Take Two sends up the clichés of crime procedurals. Are you a fan? It’s a new genre to me. I always get so scared at night. If I watched something like that before bed, I’d be running into the kitchen terrified, thinking somebody might be outside looking in at me. I like the fact that our show has a lighter spin. This is something I could watch!